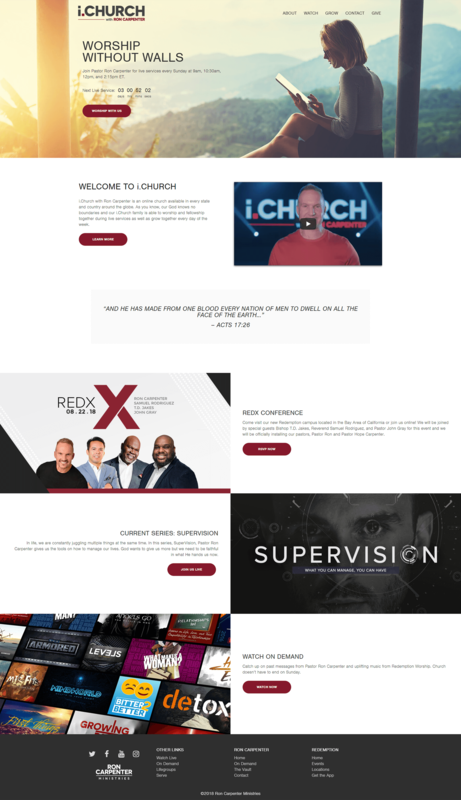 To go along with a recent re-branding, I was once again tasked with building a new website for i.Church, this time expanding beyond just a landing page to watch live services from Pastor Ron Carpenter. This new site would need to have all of the offerings of a full church website, only specially tailored to an online audience. Mission statements and ways to get involved were highlighted to help with making i.Church feel like a unique digital worship experience.